Browse Alexander City, Alabama real estate listings, homes for sale, and local information with the local expertise and insight of RE/MAX Alabama real estate agents. Lake Martin is surrounded by wonderful, strong communities. We are so fortunate to boast three great chambers of commerce in the Lake Martin area. Alexander City, Dadeville and Tallassee all have very active chambers that support the businesses and the people in their respective communities. Take a look online and learn more about each one of them. They include, www.alexcitychamber.com, www.dadevillechamber.com, and www.tallasseechamber.com. 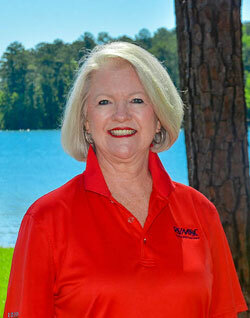 LMRA does so much to promote and preserve our beautiful Lake Martin. A strong association with more than 1200 members that work tirelessly to take care of our beautiful lake. We hope you will take a closer look at this great group and consider being a part of this great team. It is so important that we work together to preserve this beautiful place we all call home. Now we are just bragging about making the Bassmaster list for 2018. The Lake Martin community is so excited about hosting the 2018 Bassmaster Elite Tournaments. The event is scheduled for February 8th - 11th, 2018. Just know this Bassmaster, fishing teams and families, we are already preparing to roll out the red carpet. See you in February! The LMYP is a fun community organization full of movers and shakers. Everyone should consider becoming a member and joining in the fun community activities and projects they have going on. It is made up of individuals, couples, and families committed to the growth and success of this area. Their mission is to grow ourselves and our community socially, professionally, and civically. They provide a platform for their members to build relationships, develop professionally, become involved in our local government, and contribute to the economic development and quality of life in Alexander City and the Lake Martin area. They are very active in local business, political and philanthropic affairs and have a constant presence in helping shape our community’s future by cultivating dedicated, progressive leaders. Seriously check them out! Located on 41 Main Street in downtown Alexander City we have a new place to gather. Ocie & Belle's is an awesome little bar that is "spirit driven and crafts cocktails". The atmosphere is so charming and comfortable. They are open Wednesday through Sunday at 3:00 pm. and sometimes Saturdays kick-off at 9:30 a.m. with Bloody Mary and Omelette Bar. So much fun! Check them out on Facebook. So thankful for this beautiful weather and summer lake levels in the fall make it nice to stay out on the lake. Perfect for an afternoon cruise to Chuck's Marina. Everyone knows that Chuck's has the best pizza anywhere around and it is so fun to visit. The atmosphere is always lively and fun for the whole family. We love the lake and we love pizza, so the combination of the two is superb. Just pull up in your boat, order your pizza and a cold drink and find a table. Sit back and enjoy the music and people watch. See you at Chuck's. Children's Harbor at Lake Martin is one of the most wonderful organizations in our area. As far back as 1987, Ben and Luanne Russell had the vision of creating a place for children and families on Lake Martin. In 1990, that dream came to fruition and Children's Harbor, a not-for-profit organization, was created on the shores of Lake Martin. The program was dedicated in honor of Ben's mother, Adelia M. Russell. Since its inception, this charity has done so much for so many families and continues to grow. They now have two locations. The first is the original Lake Martin campus where they are partnered with more than 20 organizations that serve seriously ill children and their families. Families come to enjoy much needed camping and retreat services. These camps are amazing. In 2001, the Russell's continued with their vision with the second location, the Children's Harbor Family Resource and Counseling Center at the Benjamin Russell Hospital for Children in Birmingham. Children and their families receive supportive services during and after hospitalization. Children's Harbor is a beautiful gift to so many families and children. Take a look for yourself, you will be amazed and we are certain you will want to be a part of this organization in some way. The Alexander City Chamber of Commerce and USAmeriBank have recently partnered to open The Lake Martin Innovation Center. This is going to be a great asset to our community. It is a fabulous facility with so many work space options for small businesses. It is a brilliant idea and we really need something like this in our area. The 17,200 square foot facility features office suites for startups, co-working membership areas, high-speed fiber internet and all the tools you need to work efficiently. We love the co-working membership. It gives a member unlimited access to the common areas for only $50 a month. You can drop in to work in a quiet productive environment or you can schedule a conference room to host a private meeting. It is so nice. Drop by and take a look for yourself. It is located behind the USAmeriBank on Highway 280. PATH stands for "Prosperity Again Thru Health". They are a non-profit group as a partner to the CPH which is "Council for Prosperity Thru Health" and they promote healthy living throughout the state of Alabama. They are the parent company of the PATH organization. Our PATH Lake Martin group is working hard in our communities to promote healthy living throughout Alexander City and Tallapoosa County. We are lucky and thankful to have such an active PATH group in the Lake Martin area. This group is filled with movers and shakers. Take a look at their web page and see how you can contribute. They are always looking for volunteers for all kinds of projects. The Ledges of The Ridge is a collection of townhomes within the gates of The Ridge community on Lake Martin. It is so nice to have a lake place that is maintained and taken care of for you so you can spend all your lake time enjoying friends, family, and the lake. These craftsman-style homes are very spacious with lots of room to gather together. They all come with a dedicated boat slip and full access to lots of amenities in The Ridge like the Russell Forest Trail System, full service marina with valet services, an incredible clubhouse and pool, tennis courts and more. The Ledges of The Ridge are perfect for those weekend lake warriors and full-timers too. Development of this Lake Martin neighborhood began in 1996. River Oaks was the first Russell Lands Development on the north side of Lake Martin. Careful consideration was given to the layout of each of the 66 lots that comprise the neighborhood, which sold out in early 2004. Lots in River Oaks enjoy western exposure on the main lake channel - The Tallapoosa River bends around to the quiet east side setting of the Dennis Creek Cove, popular among lake lovers for water sports and angling. Located within the city limits of Alexander City, River Oaks provides easy access for shopping, schools, golf and medical needs. Today you will find some of Lake Martin's finest homes in River Oaks. It has a very nice group of home owners that enjoy the lake and the convenient location to town. A beautiful lake neighborhood! Want to see Lake Martin from one of its highest peaks? Then a hike up Smith Mountain and a climb up the fire tower and you will be amazed. Originally built in 1939, the restored Smith Mountain Fire Tower was opened to the public on June 16, 2012. Visitors hike up the half-mile trail from the parking area to the tower where they can climb up into the cab. The view from the cab, which is 80 feet above the top of Smith Mountain, is spectacular and offers panoramic views of Lake Martin. The tower is surrounded by a native Longleaf Pine forest, and beautiful, large granite deposits. It is open to the public sunrise to sunset, seven days a weeks. Cherokee Ridge Alpine Trail Association (CRATA) is working on developing additional hiking trails around Smith Mountain and along the shoreline. Visit crata.org to learn more. Dairy Queen is scheduled to open here in Alexander City on June 28, 2017. It will be located at the corner of Lee Street and U.S. Hwy 280. Make plans to visit while you are here on Lake Martin. It's almost time again for the Alexander City Jazz Fest. Coming Friday, June 9th at Strand Park and Saturday, June 10th at the Lake Martin Amphitheater. Come out and enjoy the music.